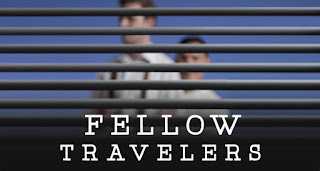 About: "Ten short plays from around the world are presented by some of your favorite LPT performers and directors. It’s short attention span theater at its best!" Also: Check out Lakeshore's beautiful new home at the Hanifl Performing Arts Center. About: "A performance processional celebrating the spirit of Black traditions. 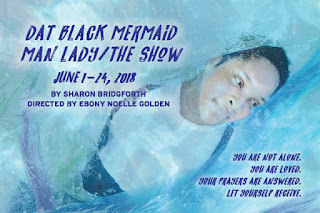 With dat Black Mermaid Man Lady / The Show, writer Sharon Bridgforth celebrates multiple ways of embodying gender and spirit, whisking the audience along on the journey to raise up a next generation healer." 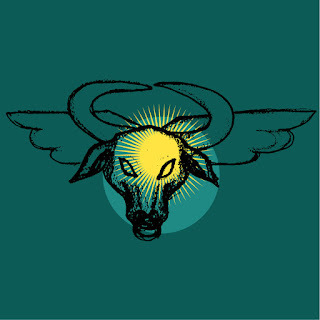 Also: "Performers sing, move, tell stories, call the audience to process, chant, holler back, build altars – celebrate life. All present are responsible for the Journey." And the cast? Aimee K. Bryant, Florinda Bryant, PaviElle French, and Kenyai O’Neal. Whoo! About: This show celebrates the Princess Musicals--musicals produced at the Princess Theater in NYC between 1915-1918. "The stories were simple and real. 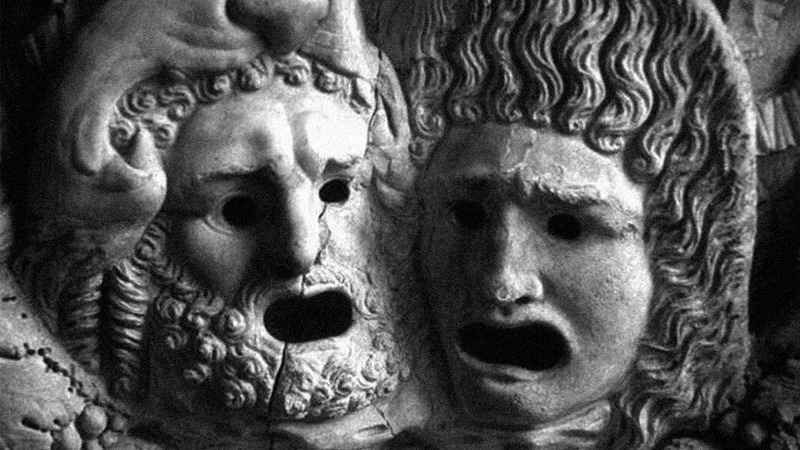 They were comedies, but the humor came from real-world situations. Because they couldn't afford big stars or high production values, the shows relied on good story-telling and great music. 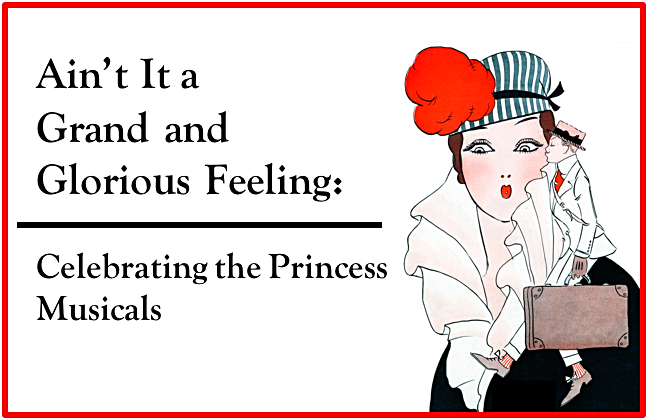 This original musical, featuring the music of Jerome Kern and his Princess Musicals collaborators, tells a story in much the same style, but with a modern twist." Also? Ticketing includes either dinner, soup/sandwich and/or dessert depending on the performance day. And it's 90 minutes, no intermish. About: "Twenty-two years ago, Miriam’s son, Robert, committed a horrible crime. Robert was caught, tried, and convicted of first-degree murder and has been sitting on death row ever since. In seven hours the state will execute him. As is the tradition, Robert is granted a last meal. His request: a slice of his mother’s apple pie." 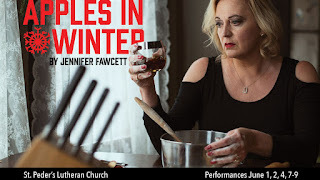 Also: Apples in Winter is site-specific and performed with limited seating in an industrial kitchen. All tickets are pay-what-you-can and Uprising Theater combines "quality theatre with actual partnerships with community organizations to channel the energy and empathy created by theatre into concrete action for change." Also: This CAST. Megan Burns, Nathaniel Fuller, Emily Gunyou Halaas, JuCoby Johnson, Cynthia Jones-Taylor, Ann Michels, Eric Sharp, and Stephen Yoakam. COME ON. About: "Racism will be mocked, racists shunned, and stereotypes exposed in this humorous exploration of what it's like to be mixed race, deal with stereotypes, and find your place in the world. Inspired by playwright Duck Washington's own experiences, this mix of story-telling and sketch comedy will move you to buoyant laughter and deep thoughts as it examines concepts that are always more than just black-and-white." Also? You might remember that this is the show that the Ames Center in Burnsville vetoed due to the word "mulatto" in the title. 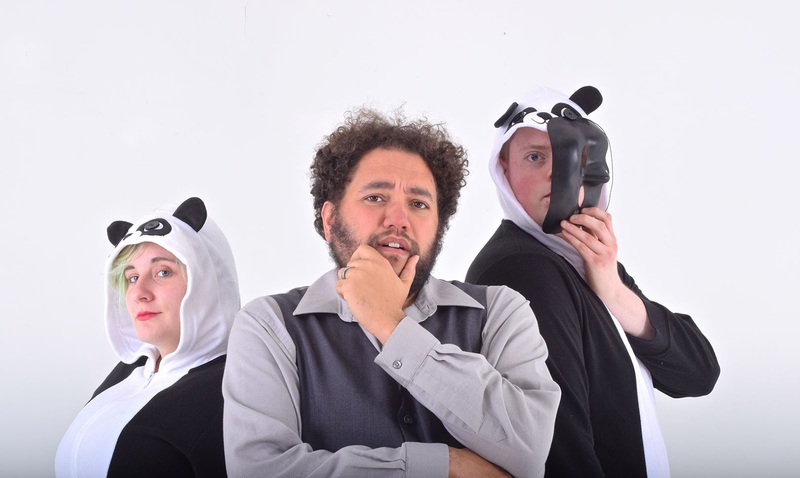 Scrappy theater company Chameleon severed their relationship with the Ames Center, and has been performing at other venues around town, including the Bloomington Center for the Arts, which from all reports has been a more hospitable hosts. 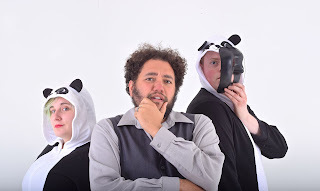 Read more about the contretemps here (Howard Sherman, writing at the Arts Integrity Initiative) and support free speech, open dialogue, Chameleon, this play, and Bloomington Center for the Arts, dang it! About: "The devilish gunpowder plot has failed! Long live King James! When Shagspeare is commissioned to write the "true historie" of the event, his investigation reveals that the official version is a cover-up – but for what? Should Shag keep digging – and perhaps lose his head? Or take the money and lie? A timely, high-stakes political thriller… with witches." About: "After crashing her plane on a mysterious island, Amelia Earhart and her co-pilot, Snook, must venture into the underworld to try to get home. However, their presence has unleashed an apocalyptic force that has been locked away for 800,000 years: the Minotaur." Also: Sheep Theater's tagline? "Original Plays. Deranged Sincerity." Hee. About: "McKenna Kelly-Eiding stars as Sherlock Holmes and Sara Richardson as Dr. Watson. The remaining 40 characters in this smart send-up of The Hound of the Baskervilles are played by just three actors: Eric "Pogi" Sumangil; Ricardo Beaird; and Marika Proctor. 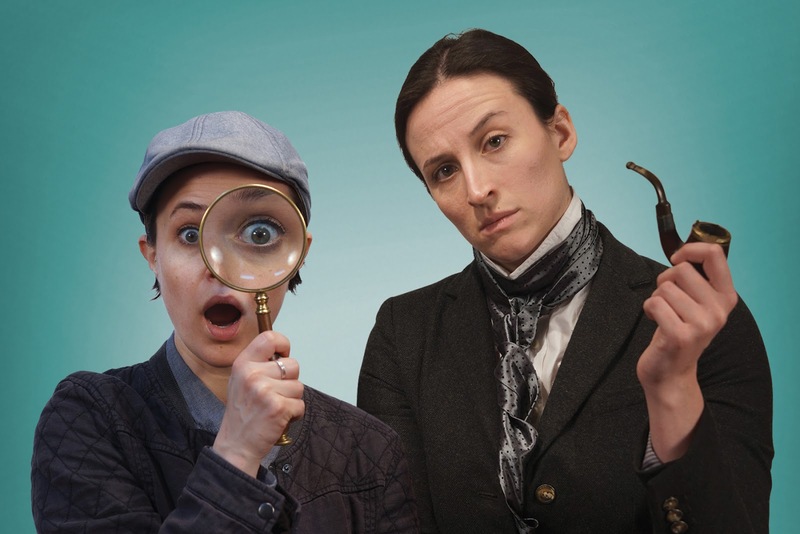 Cue the lightning-fast costume changes as wealthy Henry Baskerville is threatened by the fable of a bloodthirsty hound on the moors and the dynamic duo sniff out the culprit." Peter Morrow just lost a ton of valuable instruments and equipment in the Robert's Shoes building fire--you can support his efforts to replace the equipment. About: During the McCarthy-era Lavender Scare, communists aren’t the only enemies. Hostility directed toward abolishing “homosexual tendencies” in the government creates a world of fear and shame for recent a college graduate and handsome State Department official. 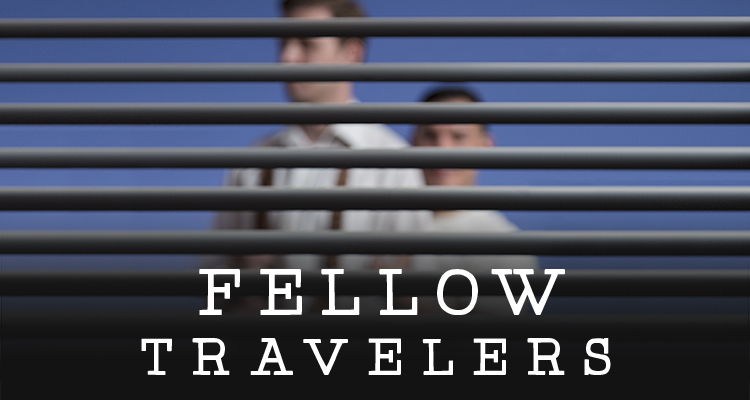 Full of sincere heartbreak, Fellow Travelers is an ode to the importance of being one’s self and the bravery it takes to stand up to political oppression. Also: More opera! In the summer! Yay! 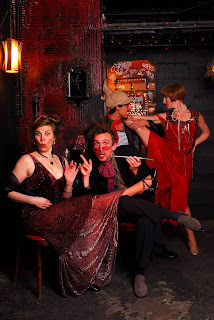 About: "A cabaret of gorgeous music, theatrical storytelling and percussive dance set in a Paris Nightclub. Director/choreographer Joe Chvala fuses vaudeville, tap, cabaret, follies, opera, and percussive art forms to evoke American’s wildest imaginings of life in the City of Light." Also: There will also be two nights of works in progress created by Joe Chvala and company members including a work in progress premiere of a Flying Foot Forum film project Mondays, July 2 and 9. Enjoy all the summer theatergoing madness! !